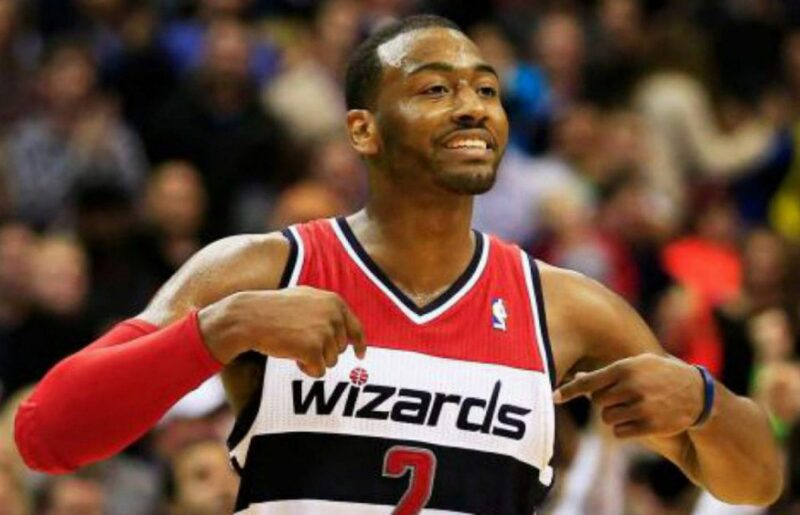 With the Wizards down three, 114-111, Washington had one last chance with 15 seconds to play to even up the score. The Wizards ran a play to get Bradley Beal open for three but he caught the ball too close to the sideline and was forced to make a desperation pass just to keep the ball inbounds which got picked off for a layup by Jeff Teague. Washington blows an eight-point fourth quarter lead and loses to the Timberwolves, 116-111. Markieff Morris was outstanding tonight leading the Wizards with a season-high 27 points and Bradley Beal added 19 but it was Karl-Anthony Towns who stole the show with a game-high 37 points on 13-17 shooting. Washington, who led by eight entering the fourth quarter, 90-82 had many chances to put this game away. But give credit to the Wolves who blitzed the Wizards with a 14-0 run midway through the fourth quarter to take control and win this one, 116-111. Make no mistake about it; the Wizards blew a golden opportunity to get a win against a very good Western Conference team. Washington led 90-82 entering the fourth quarter and it looked like they had control of this one. But a 16-8 run on the heels of some hot shooting from Nemanja Bjelica brought Minnesota back and tied the game at 98 just minutes into the fourth quarter. Things got worse for Washington as the Timberwolves used a 14-0 run and knocked down 10 of their first 12 field goals to start the quarter and regain control. Karl-Anthony Towns, who was clutch all night, knocked down a three-pointer in the corner to put the Wolves up five with under 30 seconds to play which buried Washington’s comeback chances. Zero resistance at the rim and too many points in the paint were the difference tonight, especially in the fourth quarter as Minnesota outscored the Wizards 34-21. Since the All-Star break, it seems like the play of Markieff Morris is usually a good barometer for how the rest of the Wizards squad will play. Morris couldn’t miss to start this one as he knocked down his first four shots and only three-point attempt for nine points in the first quarter. After notching 14 points by halftime, Morris continued to stroke the ball also knocking down his first four shots of the third quarter helping the Wizards build out their lead. Keef grabbed four rebounds and dished out two assists all while playing tough defense on Taj Gibson and Towns when switched onto him tonight. Unfortunately for the Wizards, Morris’ big game wouldn’t be enough, as they just had no answer for Towns this evening. The Wolves scored 64 points in the paint this evening making it the third straight game where a Washington opponent has scored 60+ points in the paint. As mentioned, Towns was a force down low but tonight it was more mental lapses to go along with letting guards get into the lane too easily. Washington committed 11 turnovers, which only resulted in 15 points, but you guessed it – many were of the live-ball variety resulting in easy baskets at the rim for Minnesota. Up Next: No time to rest as the Wizards head to Boston to take on the Celtics tomorrow night.